Valentine’s Day and the color red are two peas in a pod. From bright red ribbons, to crimson heart-shaped boxes of bulk chocolates, and more, you’ll be in a sea of this color come February. To make sure you blend in with the amorous holiday, try some of these festive crafts and red recipes for Valentine’s Day. Mouth watering just looking at these red velvet cookies? Ours started the second we laid eyes on them. 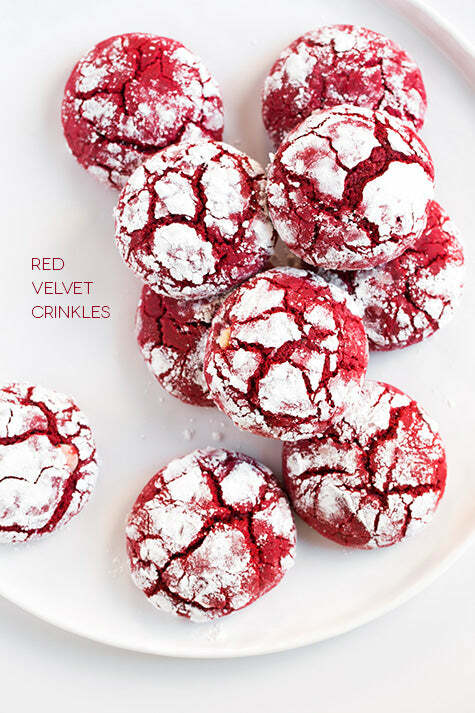 With their light and fluffy dough and bright scarlet color, they’re the perfect Valentine’s Day cookie. Dust them with powdered sugar like this baker did or drizzle them with melted dark chocolate. You could even put Hershey’s Kisses in the middle for a spin on a holiday classic. Whatever you do, everyone who gets to take a bite will love them. A fresh bouquet of roses is a romantic gesture, but they only last a few days until the petals start to wilt and fall. Give your love an everlasting bunch of “fresh cut” roses by making some of these fabric ones. They’re pretty simple to create and you can mix and match colors and even add perfume and glitter to make them more flashy. Once you’ve made a few, stick them in a box with a card and dazzle the one you love most. Didn’t your mother ever tell you that it’s what’s on the inside that counts? These cookies couldn’t be a better example of that. 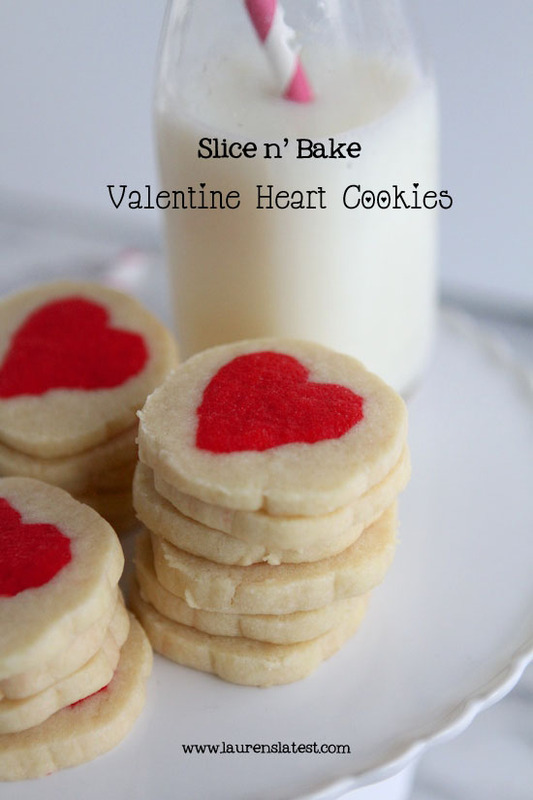 Before they’re sliced, these cookies just look like a beige tube of cookie dough, but once you take a knife to them and get them on a cookie sheet, you’ll see the loveliness that was hiding inside all along—a bright red heart! These sugar cookies are super delicious and cute, so definitely give these red recipes a try for the ones you love this Valentine’s Day. Does your home or office look a little under loved? Change that right away by hanging some bright pink, red, white, and polka dot heart garlands around the room. This tutorial will show you how to do it all. You’ll just need some construction paper, scrapbook paper with a print (if you want to add some extra visual interest), tape, glue, and a stapler. Follow the instructions to string these hearts together and they’ll tug at your heart strings every time you see them. You decorate your home for the holidays, so why not Valentine’s Day? This beautiful and rustic wreath is an amazing way to add a subtle touch of love to your front door. We recommend that you use convincing faux roses (since real ones won’t be able to stand the cold or be without water for very long) and a heart-shaped vine wreath from a craft store. 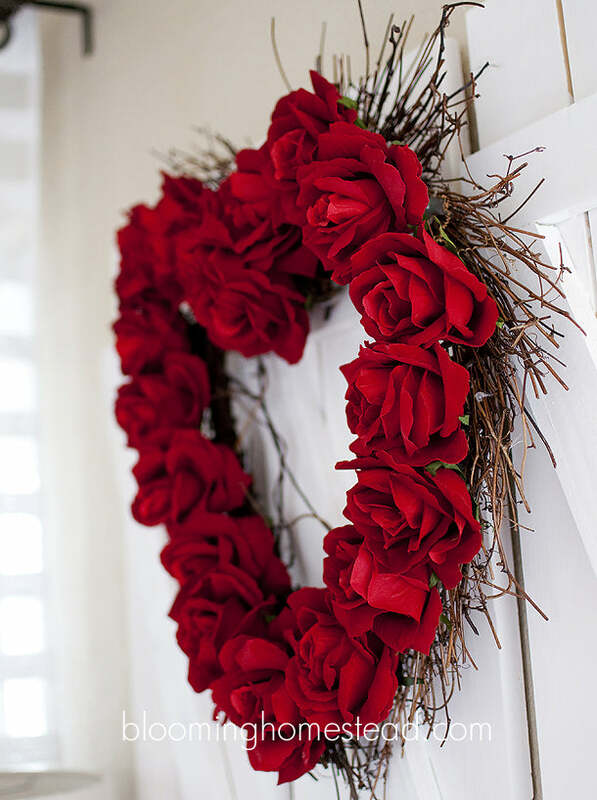 With some florist wire, you can attach individual roses all around the middle of the heart-shaped wreath pretty quickly. Then, you can hang it in a bathroom once February is over or tuck it away until next year. Have a bunch of valentines to pass out at school? 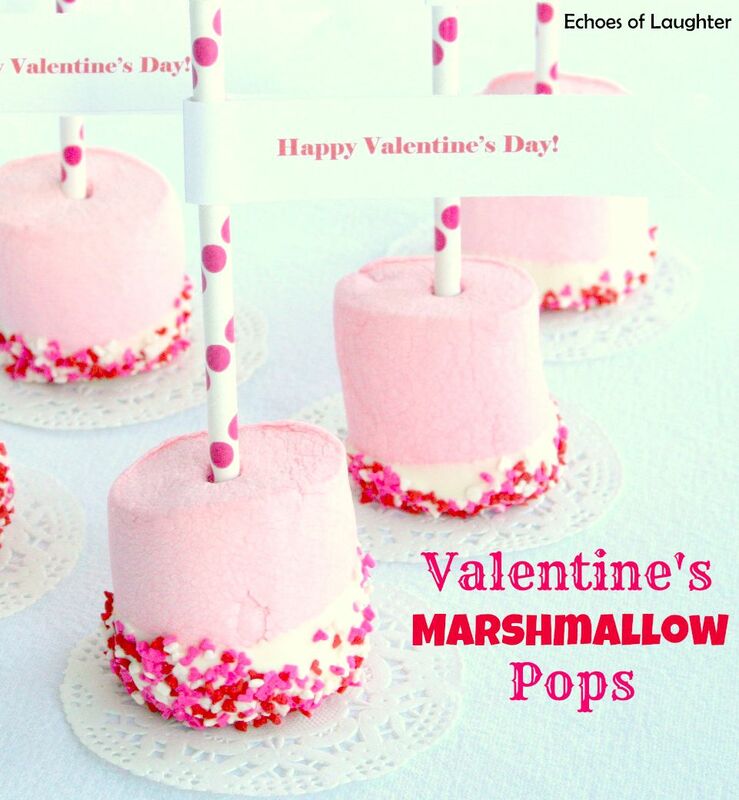 These marshmallow pops can serve as edible versions! Just pick out cute straws, pink or white marshmallows, and sprinkles. You’ll need to make frosting or buy some from the store to get the sprinkles to stick, but that just adds even more sweetness and deliciousness to this treat. After you’re done, wrap every single one of these up in a cellophane bag so they don’t get stale and then attach a tag with the names of your valentines on them. It’s an easy way to share the love without having to write out a ton of cards. We covered classroom Valentine’s treats and decorations, but now we’re onto the adult stuff. 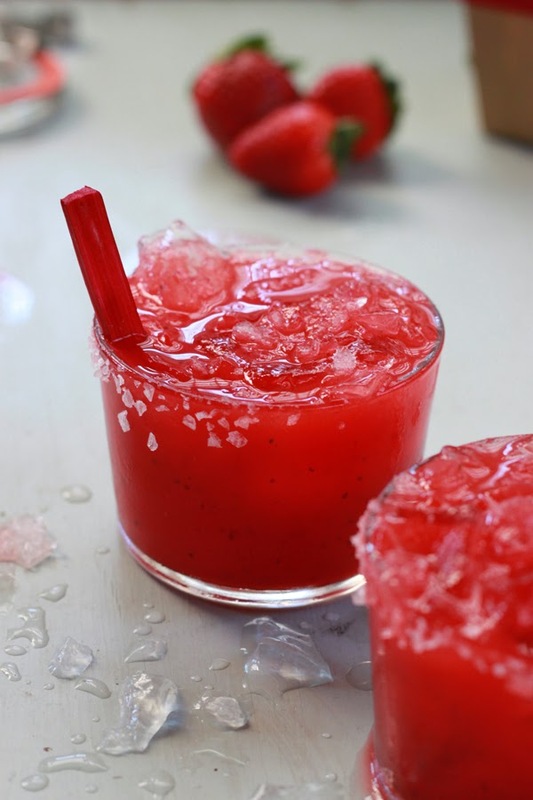 These red recipes for rhubarb margaritas are so tasty. Plus, they have the bright red color that screams Valentine’s Day. If you’re having a dinner date with some lady friends for “Gal-entine’s Day” or having a cocktail with the one you love before you head out for a date night, mix some of these refreshing coolers up in the blender and get ready to feel the love. This craft was too cute to pass up. 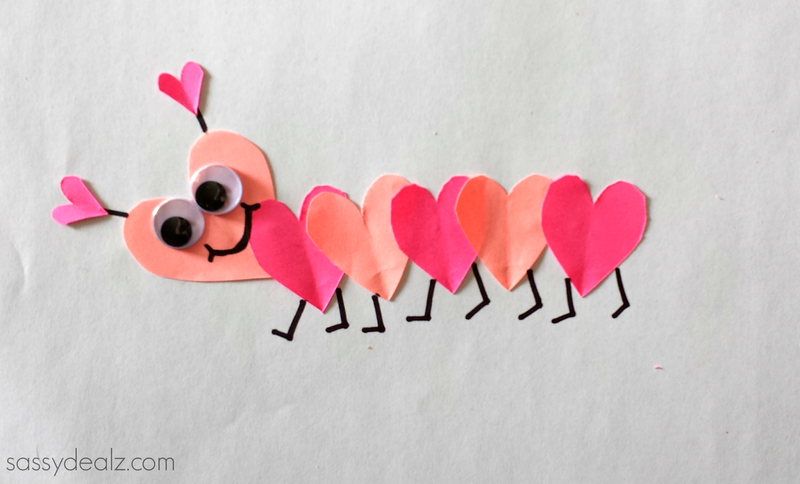 With little cutout hearts, some glue, a marker, and googly eyes, you’ll have your very own Valentine’s Day caterpillar. If your kids want to make your husband or wife a card or something for each other, sit down secretly on a weekend and help them make these cute caterpillars. If they glue them into the middle of a card, they can sign their name on the inside and make whoever they give it to smile. We love how this particular craft is also a fun activity for the whole family. Like an Easter egg hunt, you can hide little hearts around your home or outside and have your kids run around and collect them. Tuck one under everyone’s pillow, put some in the medicine cabinet, add one or two to the lunch boxes of your kids, and by Valentine’s Day, they’ll be able to see your love as well as feel it when they look at the full jar of hearts on the counter. We showed you a margarita, but here’s a whole bunch of red, pink, and pretty cocktails you can make on February 14—or anytime for that matter! Get out your fancy drink glasses, your shaker, and red garnishes like cherries, raspberries, and strawberries. Or throw some wholesale bulk candy in there. ;) Then, get to mixing these up! Have a bunch of friends and family come over for a meal or celebrate with your special someone on Valentine’s Day. We love a pretty craft that’s also easy to make and cheap to assemble! 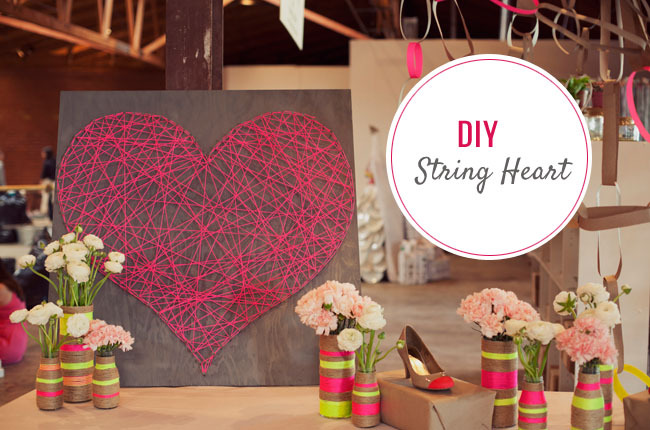 This heart strings craft is no exception to that. With a piece of wood (you could salvage one for free), cork board, or another surface you can poke pins into, start wrapping red string around each point. There’s really no rhyme or reason to how you wrap the string. Just go where your heart desires until there is enough red string to look like a heart. You can display this front and center on your mantel or hang it on a wall. These even make perfect gifts for the ones you adore. Cake pops are always so cute and the perfect dose of sweetness. Since they’re bite-sized, they’re the ideal sweet to make for Valentine’s Day to give out to classmates or friends. Watch the video here to learn how to make these cake pops or use another of your own red recipes you already know and love. The only thing you’ll need to customize for these Valentine’s Day cake pops are the decorations you put on them and the colors you use. How clever! 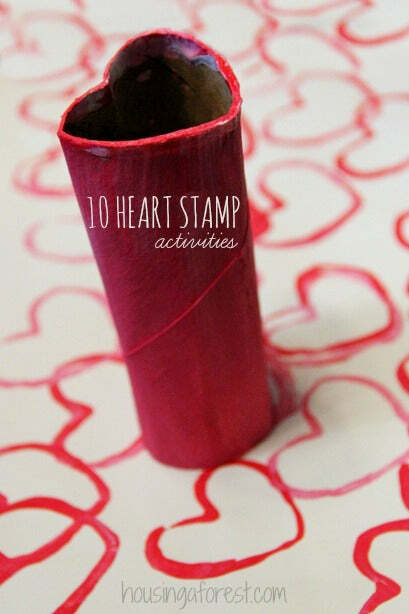 This person used a toilet paper roll and bent it into a heart shape to make this nifty stamp. If your kids love getting busy around Valentine’s Day with fun crafts or want to make their classmates some homemade valentines cards, give this easy and super cheap craft a try. All you’ll need to buy is some non-toxic red and pink paint and you can let your kids get their hands dirty. Fill these up with some bulk candy and – bam – give them as valentines.